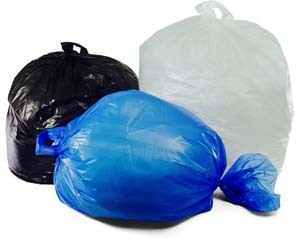 Trash Bags & Garbage Bags at Wholesale Prices! 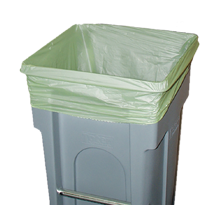 Choose from a full line of durable, linear, low-density garbage bags and strong yet economical high-density garbage bags. 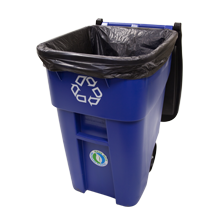 The Bag Buddy Bag Holder is the perfect accompaniment to use with trash bags for parties, tailgating, picnics, yard clean up, recycling and more. Compact and portable for easy transport. 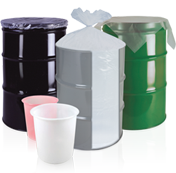 Four different sizes are available fitting a range of 25 gallon to 55 gallon garbage bags. 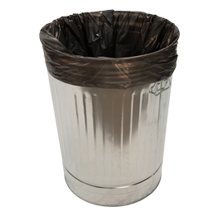 You can also save when you buy one of the four different multiple packs. 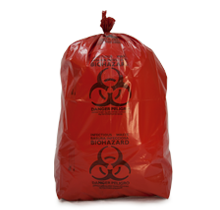 The two handle ergonomic trash bag was invented to allow workers to lift heavier loads without increasing their risk for developing injuries. 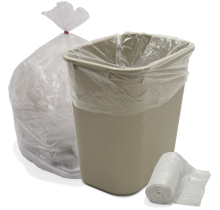 It differs from a traditional trash bag only in that there is a handle on the bottom of the bag. 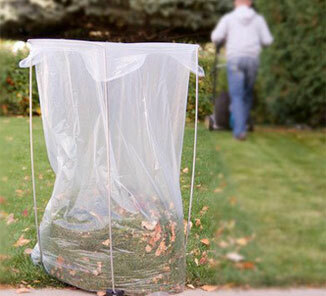 The extra handle allows for increased grip, as well as distributing the weight of the bag more evenly. 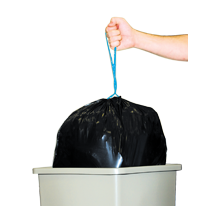 Conforms to NIOSH lifting guidelines.